In a transition between the desert and the jungle and crossing through 4.000 mt, we find Valles de Altura (Height Valleys), where the ancient people were able to organize self-sufficiency food based on farming terraces built in the mountains foothills, and using the catchment water that comes from top of the hills. These ancient traditions are valid today and dazzle us with their story. Nestled amidst these mythical mountains is located Iruya village. 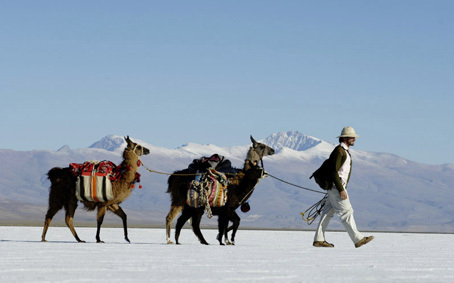 Round trip route: 232 km total by vehicle - Maximum height: 4000 m.a.s.l. 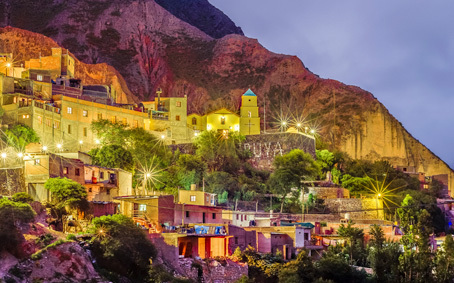 We cross Quebrada de Humahuaca (Humahuaca ravine) to reach La Puna region and there we visit the historic town named Yavi, main church altar laminated in gold, Marques de Tojo House and Hydraulic Mill in Historic District. Then we run through the village of Yavi and climb to the formation of the 8 brothers to visit the petro glyphs in Laguna Colorada. Returning we know La Quiaca city. 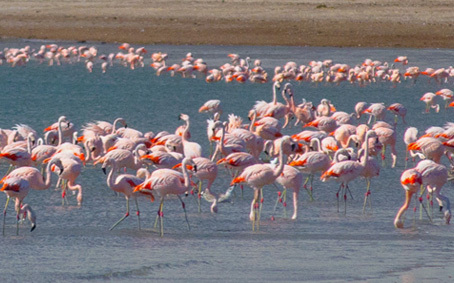 Visit the most imposing Flamingos reserve in Northwest region, touring the Puna. 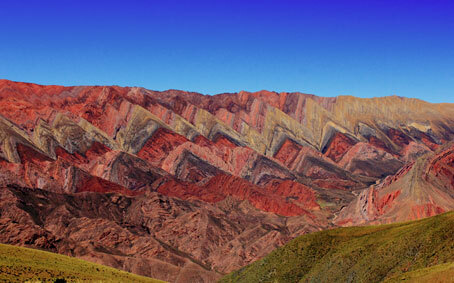 We travel by car part of Jujuys Puna to reach this spectacular reserve of Pink Flamingos and andean fauna. 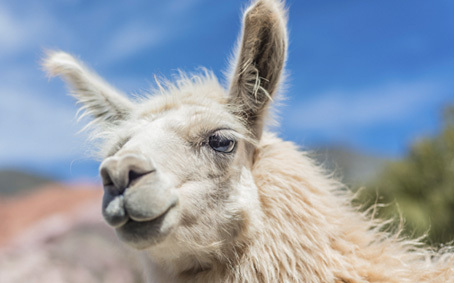 We can admire vicunas, foxes, Puna birds and hopefully also some Suris (ostriches), among other animals. A real visit to the center of the vast region of the Puna through its capital: Abra Pampa, where we visit the regional market and craftsmen cooperatives. 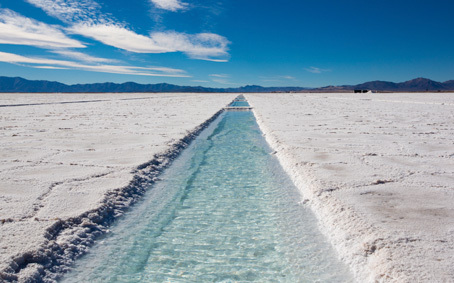 Salinas Grandes is one of the most visited destinations in Jujuy's Puna region. This tour is an invitation to discover a way of life and ancient economic activity: salt extraction. An unforgettable day visiting the salt flat, their communities, their workers and the processes that led this mineral to be a recognized and renewable activity. The Salina, surrounding landscapes and its people offer us the possibility to enjoy and learn the salt processes until reaching consumption and livelihoods of many people. An unforgettable proposal in Puna! Includes: salt community local guide, visit the salt mine, collection, visit the collection center and artisan fractionation, lunch in salt communities. Route: 250 km total by vehicle Maximum height: 4,170 m.a.s.l. 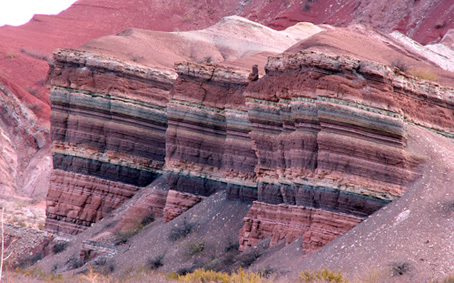 An ancient millenary land of originary inhabitants; Archaeology and Museum Capital of the province of Jujuy, shelter of artists, musicians and poets. 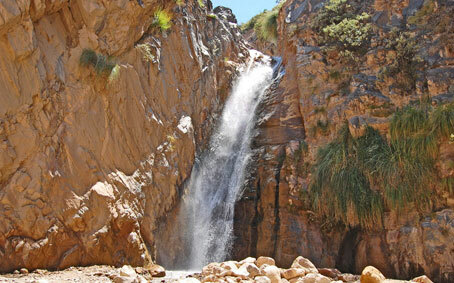 At 52 miles from San Salvador de Jujuy, on the left margins of the Grande River, flanked by the river Huasamayo and protected by hills and cardons, Tilcara was founded in 1586. It owes its name to the tribe that inhabited the area, the “Tilcaras”, a detachment of the Omaguacas. 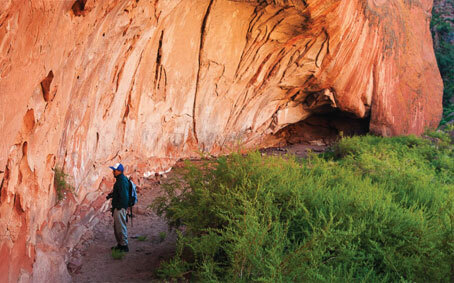 Shelter of artists, poets, musicians and painters and officially called the “Archaeology and Museum Capital” of the province of Jujuy, it is also known as the Ravine’s cultural center.